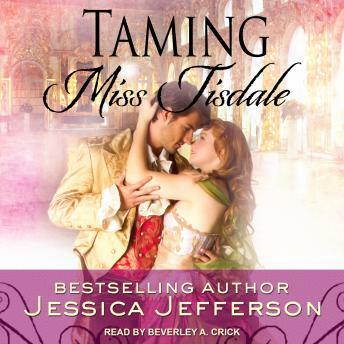 Miss Tamsin Tisdale believes herself to be completely unsuitable for London life. After a myriad of social mishaps, and the potential ruination of her family name, she's shipped away to her cousin's northern estate. Only after she accepts the type of existence Society dictates she must follow will she be welcomed home. Marcus Winston, the Duke of Grayson, has a lackluster reputation. The last in a dying line, he's endured a protected life-rank with privilege, but encumbered by isolation. After a brief encounter with rebellion, he learns the devastating consequences of his carelessness and willingly accepts living life from inside his gilded cage. However, a chance meeting with the brazen Miss Tisdale gives Marc the opportunity to reinvent himself into the man he's always dreamed of being. But when his deception comes to light, and ghosts from both their pasts threaten to unravel the intimacy they've come to cherish, will either of them set their fears aside long enough to embrace love? Or will Miss Tisdale's stubbornness divide them?